Rent to own... not just for appliances anymore. Charming Japanese blogger Kirin from Tokyo Kawaii Etc. 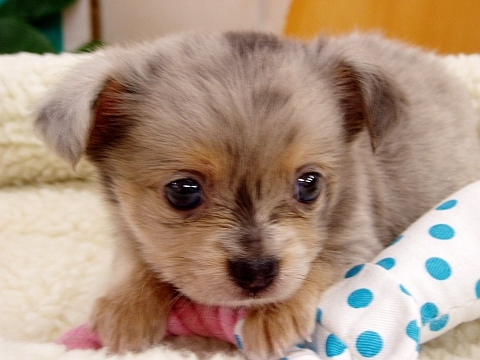 advises us that a new type of dog renting store has opened its doors in the city of Yokohama. The store's "try 'em, buy 'em" business model relies on the inventory to basically sell itself. 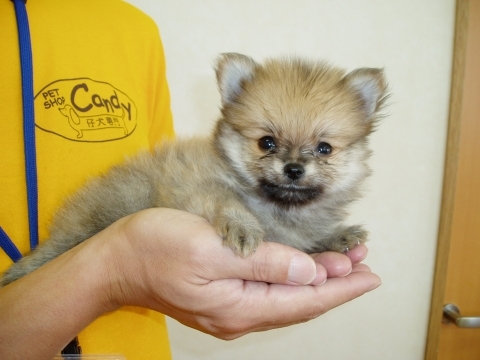 Candy features a variety of dogs, mostly young puppies, that they will rent to you by the hour or for 3 nights. Be advised that the "inventory" will start tugging on your heart-strings the second you leave the store, however. As Kirin explains, "users who once rent a dog from this pet store will be likely to have a special attachment to the dog, and eventually they will decide to buy it." Other dog rental stores usually offer older dogs who have been trained not to bond overly much with those who rent them. This is for everyone's benefit - another day, another renter. With such short rental times, Candy tries to limit the amount of interaction so that the puppies don't suffer from attachment issues if the renters don't want to make a lasting commitment.It's not known whether the puppies are housebroken or not - but I guess customers will find out soon enough. It should also be mentioned that Candy offers a dog hotel service for those who need to temporarily board their pet. Their rates are 1050 yen (about $11.50) per hour or 10,500 yen (about $115) for 3 nights. Just look at those sad puppy faces... wouldn't you, like to be a big brother/sister, to someone like me?